WOW: "The Joy Of Giving"
Diwali, the festival of lights, is all about joy, prosperity, togetherness and gifting our loved ones. But, there are people who aren't privileged enough to celebrate Diwali as joyously and brightly as we do! The best deed one could do to make the festive vibe more happy and vibrant, is gift the needy and share some joy! Making someone smile should be the only motive to make the festivities worthwhile! This time we had asked you to write about your one instance where you made someone happy, by gifting or charity! This week's WOW prompt was-"The Joy Of Giving" and your deed touched our hearts. We were extremely overwhelmed by your experiences of sharing and giving! We wish you all a very happy and joyous Diwali! Keep sharing and spread smiles! Here are the beautiful reads that took our hearts away! Thank you all for the wonderful contribution this weekend! Look forward to many more experiences of joy, sharing, giving and happiness! 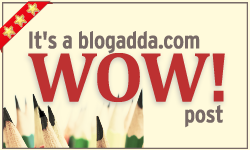 Here's the WOW badge that you can put up in your blog proudly! 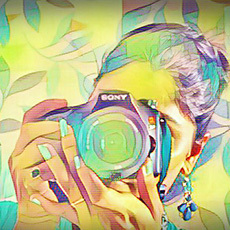 Thank you so much blogadda for mentioning my write up.